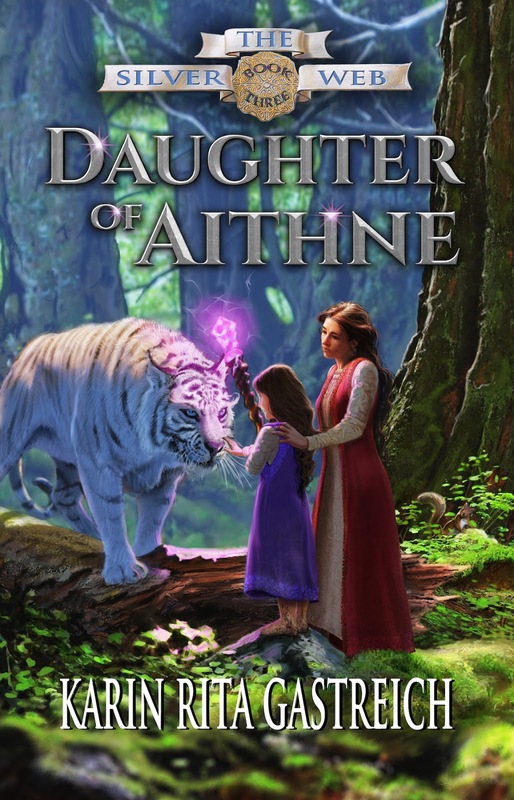 Betrayed by her own prodigy and accused of treason, Eolyn forges a risky alliance with the ruthless and cunning Mage Corey. As enemies old and new rise to arms, the beleaguered queen of magic prepares for a final, desperate battle to secure her son’s throne. Across the Furma River, Taesara of Roenfyn is drawn out of seclusion and into an ever-more vicious game of intrigue and war. 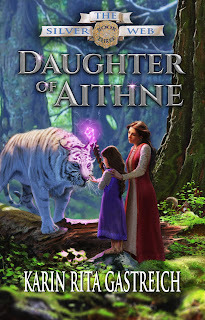 Subject to the schemes of her uncle and the mysterious ambitions of the wizards of Galia, she fights to assert her will while defending her daughter’s inheritance. “Lush, evocative descriptions carry readers through an unforgettable journey.” –Kirkus Reviews review of Sword of Shadows, Book Two of the Silver Web. Story telling has always been a part of who I am. I wrote my first story when I was in grade school, based on a dream I had. I loved creative writing in middle school and high school, and even wanted to be a novelist, but practical considerations and other interests led me to a career in the sciences instead. 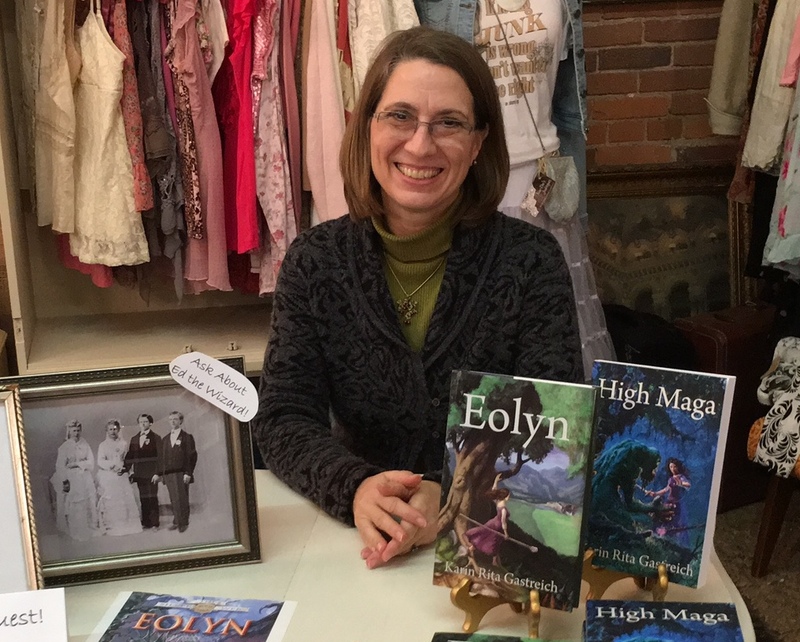 I started writing my first fantasy novel, Eolyn, in autumn of 2006. Like all my other creative writing endeavors, it began as a hobby. But as I worked toward completing the story, I began to wonder if the novel might appeal to more people than just me. So, I started sharing it with friends and family. When their response came back positive, I started taking chapters to writers groups. The critiques I received from other writers really helped me refine the novel. I grew in confidence as an author and eventually submitted the manuscript for publication. 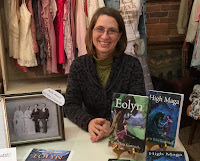 I signed my first contract with a small press, Hadley Rille Books, in 2010. I want them to be immersed in an extraordinary adventure. I want them to see how love can carry us through the darkest of times and to witness the extraordinary strength of women in war and peace. It’s the ultimate choose-your-own-adventure! I always have an idea of where my stories are going, but the details often surprise me. I love it when my characters make a choice I wasn’t expecting! There’s never a dull moment when I’m writing. It’s always a lot of fun. Publishing. It’s kind of a necessary evil; we publish because as writers, we want our stories to be read. But after having been on the market for years, I’m still not convinced I like publishing all that much. There’ve just been too many times when the onerous tasks of publishing and marketing have sapped the joy out of my journey as a writer. Think hard about why you are doing this. Perfecting the art and craft of storytelling should be at the heart of your intentions. Everything else is unimportant. If you are doing this to make money or be famous, you will be disappointed. Write for the love of writing, and your stories will always carry their own reward. Eolyn’s veins. She stood. Akmael rose with her. heart, Eolyn, but your heart has led you to ill-advised decisions in the past. had put it so bluntly. The blatantly treasonous act of three women, all devoted students of yours. that followed?” she shot back. me your word—” Eolyn’s voice broke. She sensed doors closing all around her. situation is not that grim. I assure you the days of Tzeremond will not return. though she found little comfort in his reassurance. rooms of the East Tower prepared for you,” Akmael said. lament of a woman betrayed. his hand, its delicate crystals glittered in the afternoon light. be used to penetrate the wards,” he said. Karin Rita Gastreich writes stories of ordinary women and the extraordinary paths they choose. An ecologist by vocation, Karin has wandered forests and wildlands all her life. Her pastimes include camping, hiking, music, and flamenco dance. In addition to THE SILVER WEB trilogy, Karin has published short stories in World Jumping, Zahir, Adventures for the Average Woman, and 69 Flavors of Paranoia. She is a recipient of the Spring 2011 Andrews Forest Writer’s Residency. Remember to join INFINITE HOUSE OF BOOKS for author interviews, guest posts, book excerpts, and more!